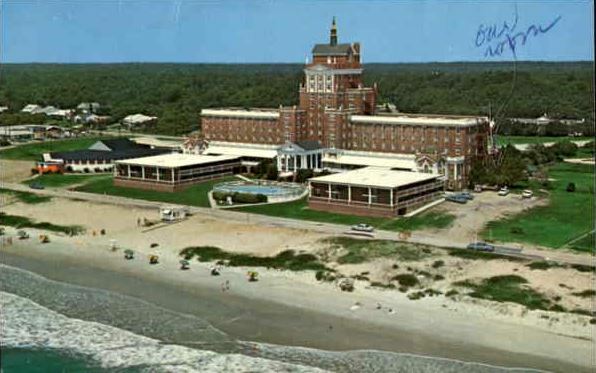 In 1918, the Woodside brothers began their first discussions of building a prominent oceanfront hotel, with horse stables and a world class golf course in what would become Myrtle Beach. The country club is historically associated with an important period in Myrtle Beach history – the tenure of John T. Woodside and the Woodside brothers. 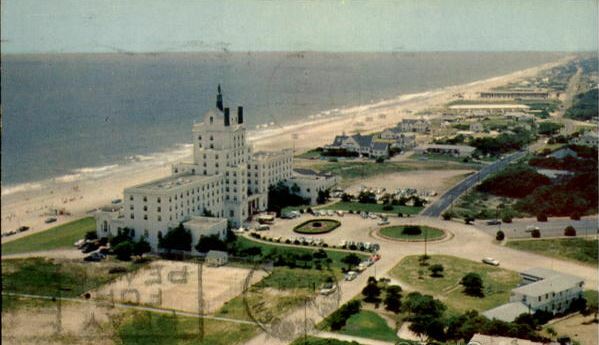 In 1926 the Woodsides purchased 65,000 acres of beach front and other prime real estate from Myrtle Beach Farms Company. Although Woodside would lose his holdings in Myrtle Beach following the stock market crash of 1929, his vision for Myrtle Beach and accomplishments during his tenure had a great deal to do with its subsequent growth and prosperity of the city. The club and hotel were designed by an influential New York architect, Raymond Hood. Construction of the club began in 1926 and was completed in 1927. When the club was built, a 27-hole golf course, now known as Pine Lakes, was built in association with the club; it was designed by Robert White, a golf course designer and future president of the Professional Golfers Association of America. In 1918 America was involved in World War I, with many Horry County boys sent off to France. 1918 is also known in American history for the Flu pandemic that killed an estimated 100 million people worldwide, including decimating some families in the Conway area of South Carolina. “We were in the middle of the war, and I think that very definitely contributed to the chaos. I don’t think it had much impact on the actual spread of disease, but in terms of how society dealt with it, yes, I think it had quite a bit to do with the chaos. Chiefly, because everyone in authority, from the surgeon general of the United States to your local mayor, lied. Everyone could see that this was a lethal pandemic. Some of the symptoms were horrific — bleeding not only from your nose and mouth but from your eyes and ears. And yet the authorities were saying, ‘This is just ordinary influenza. If proper precautions are taken, you have nothing to fear.’ But people knew they had something to fear. You know, their neighbors or spouses were dying sometimes in 24 hours,” said John M. Barry, historian and American Author. 1918 witnessed the Russian Civil War (Bolshevik Revolution) exterminating a generation of Israelis and sending many fleeing to the United States. Several of these patriarchs would settle in New York and later migrate to Myrtle Beach. In 1918, America becomes a recognized world leader. March 12, 1938, Myrtle Beach incorporated. This was the first of many changes that would happen on decade years that end in 8s. 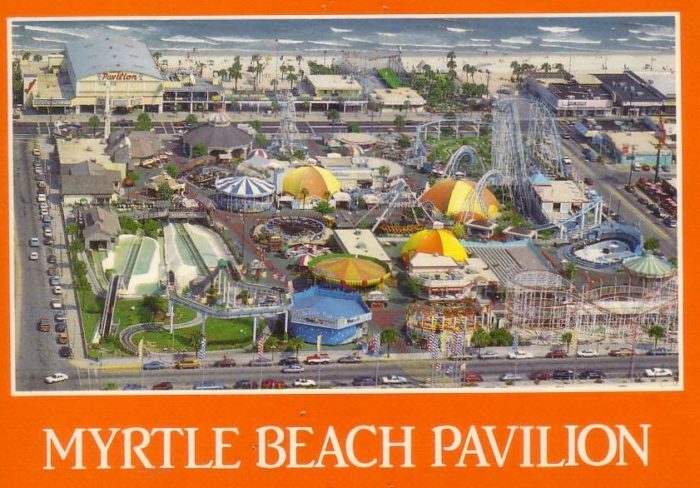 The most recent era of change in Myrtle Beach (this era just ended with the last election) occurred in 1948.
expansive boardwalk, bath house and several acres of rides and other attractions. It was also in 1948 when Philip Gray (Grandfather of Wayne Gray) was elected to the Myrtle Beach City Council serving three two-year terms. The current City Hall building was built during his terms of office. He had married into and formed alliances with Clay Brittain Jr. and family, the Nance Family, and the Chapman family. All of his businesses were members of the Myrtle Beach Chamber of Commerce, and he served on the chamber Board of Directors for many years. 1948 was also one of the most dramatic years of change in world history. The formation of Israel as a country. The 1948 Arab–Israeli War was fought between the State of Israel and a military coalition of Arab states, forming the second stage of the 1948 Palestine war. Partition between Israel and Palestine also began in 1948. Pakistan and India became free and separate countries. Partition in the division of the former British colony called India in that country created two countries and one of the largest forced migrations in world history. The Berlin airlift began in 1948, as well as, the cold war. 1948 was the year Truman beat Dewey in a surprise election. For Myrtle Beach, 1968 was truly a deepening of the coalitions first built in 1948. Talks of turning Myrtle Beach into a golf destination started between Buster Bryan of the Caravelle Hotel, Clay Brittain Jr. and Cecil Brandon. The Caravelle Hotel had introduced the golf package concept in 1962. 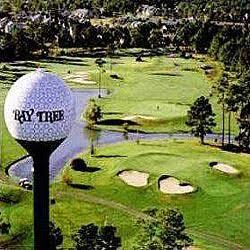 In 1969, Golf Holiday would be formed transforming Myrtle Beach into an area best known for golf for the next fifty years. 1968 was also another year of upheaval and change. 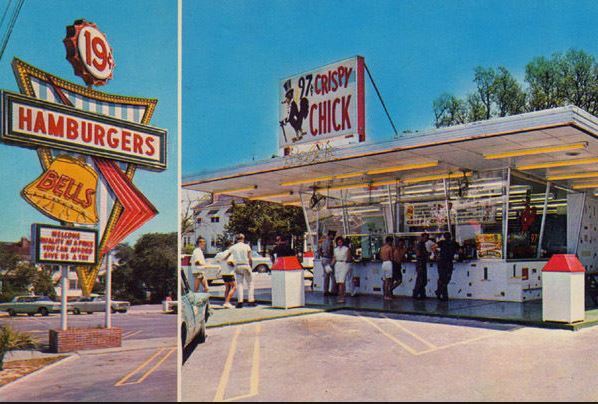 In 1968, cruising Ocean Boulevard hit its heyday among baby boomer tourists in their late teens. Nationally, on June 6, 1968 Robert Kennedy is assassinated. Richard Nixon will go on to become the president in November, starting a southern strategy of converting S.C. Democrats into the appearance of becoming Republicans. There have been truly few Republicans alliances ever created in Horry County. Most elected SC officials continue to be democrats who run under the republican party banner. The Philip Gray era of institutional alignments officially ended with the just past November elections. 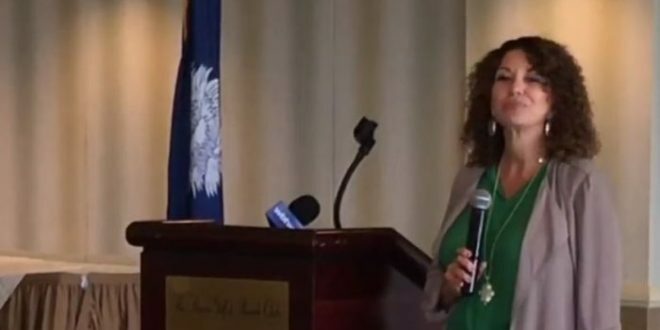 From the Myrtle Beach Area Chamber, to hotel insider connections, to state wide political alliances, to the Downtown Redevelopment Corporation, a reset has happened. No one knows how this plays out for certain, but some of the below can be expected as this new era begins starting January 9, 2018. * DOWNTOWN REDEVELOPMENT WILL BEGIN TO HAPPEN AND WILL ACCELERATE QUICKLY. *A NEW GENERATION OF VISITING MYRTLE BEACH FAMILIES (millennials) WILL REDEFINE DOWNTOWN TOURISM. *New and more transparent political alliances will form. Old “stronghold” insider relationships will begin to be replaced. 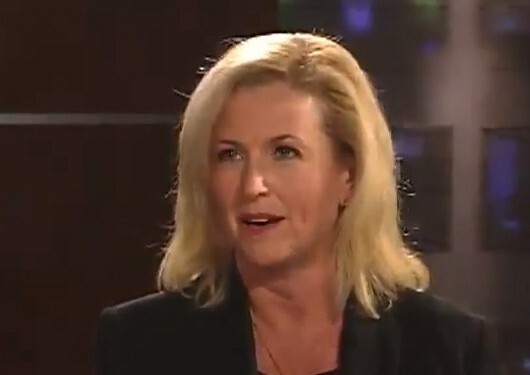 *THE FRAGMENTATION OF BROADCAST MEDIA WILL LEAD TO A GREATER VOICE AMONG HORRY COUNTY RESIDENTS, AS WELL AS, HOW LOCAL NEWS AND ENTERTAINMENT IS DISTRIBUTED, EXPERIENCED, AND INTERPRETED. *”OUT OF CITY” INVESTORS WILL FINALLY BEGIN TO TAKE AN INTEREST IN INVESTING INSIDE THE CITY LIMITS OF MYRTLE BEACH. *Look for S.C. Solicitor David Pascoe’s investigation to name a key Horry County elected official. If history holds, 2018 is more than just a new year. It is also the beginning of a new era. On the ballot in 2018, residents can expect: Mark Lazarus, County Council Chairman, Tom Rice, U.S. 7th District, Alan Clemmons, SC District 107, The North Myrtle Beach TDF (tourist tax) referendum, and the Myrtle Beach TDF (tourist tax) referendum. Who Is Citizens For Better Roads?